Looking for a job in Douglas County Kansas? This Douglas County Kansas job guide is a resource for job seekers looking for legitimate employment opportunities in the region with an emphasis on government positions, top healthcare employers, public school careers, and major job boards. 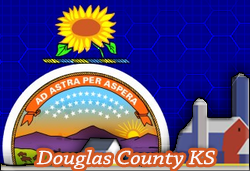 Douglas County Kansas periodically posts job openings. Open positions found on this review date had included Juvenile Detention Corrections Officers, Emergency Communications Officer 911 Dispatcher, Food Service Worker Cook, Laborer, Custodial Worker, Corrections Officer Jobs, Appraiser, Assistant District Attorney, and Pretrial Release Officer. The City of Lawrence has an online job application system. The City of Lawrence's employment vacancies are posted online as they become available. Here you may find employment opportunities such as Administrative Support, Parks & Recreation Jobs, Umpires, Sports Officials, Dance Instructor, Sports Complex Jobs, Fire Chief, Forestry Laborer, Golf Course Jobs, Maintenance positions, Lifeguard, Gymnastics Instructor, Horticulture Laborer, Marketing Specialist, and more. Check for updates. Lawrence Public Library accepts applications for current positions. The City of Eudora periodically posts job openings as vacancies become available. The City of Baldwin has approximately 48 FTE's (full time equivalents) including full time staff, part time public works and police officers. This number includes the City Administrator and six department heads. The City's departments include Administration, Public Works, Parks, Fire, Police, Court, Electric, Water and Waste Water. Opportunities found included Maintenance Public Works opening, Police Officer,Codes Administrator Opening, and Volunteer Firefighters Needed. This Worklooker directory includes Kansas City Missouri Jobs, Bonner Springs KS, Edwardsville KS, The University of Kansas Hospital, and more. This Worklooker directory includes City of Overland Park KS, City of Olathe KS, City of Shawnee KS, Lenexa KS, Leawood KS, Saint Luke's South Hospital (Saint Luke's Health System) - Overland Park, and more. This Worklooker directory includes City of Topeka KS, Greater Topeka Chamber of Commerce, Stormont-Vail HealthCare Topeka, Kansas Rehabilitation Hospital, St. Francis Health Center Topeka, Auburn-Washburn School District USD 437, Shawnee Heights School District USD 450, and more. Berry has grown into a global, multi-billion-dollar packaging and protection solutions company. A sample of open positions found included IML Technician, Print Maintenance Supervisor, Printing Group Lead, Molding Machine Maintenance Technician, Quality Assurance Technician, Distribution Logistics Coordinator, Resin Material Handler, Thermoform Maintenance Tech, Material Handler, Printing Maintenance Technician, Thermoform Tooling Tech, Packer Operator, and Thermoform Operator. Amarr is one of the world's leading designers, manufacturers and distributors of garage door access systems for residential homes, condominiums, warehouses, commercial buildings, shopping malls and other commercial applications. Lawrence Paper Company is a manufacturer of industrial boxes, retail displays, and innovative custom box designs. DCCCA provides social and community services that improve the safety, health, and well-being of the people it serves. Here you may find employment listings such as Part Time with Benefits CDT FSLV, Lawrence Office Assistant, Lawrence Maintenance Worker FT, Lawrence FT CPA Specialist, First Step at Lakeview Counselor, Quality Systems Specialist, and PRN Chemical Dependency Technician FSLV. Cottonwood, Inc. services to individuals with intellectual/developmental disabilities. Cottonwood has earned a reputation for quality services and care as a community service provider. Call-In Clinic RN, Work Enrichment Supervisor, Residential Services Assistant, Residential Services Specialist, and Data Assurance Manager. Lawrence Memorial Hospital LMH is a community-owned, not-for-profit, 173-bed hospital located in Lawrence, Kansas. A survey of open positions found had included Nurse Practitioner APRN, Registered Nurse RN Emergency Department, Physical Therapist, Medical Technologist, RN Case Manager, Application Analyst IT, Radiologic Technologist ARRT, Network Engineer IT Technical Services, Psychiatric Nurse Practitioner APRN, Housekeeper, Lab Assistant Phlebotomist, CNA Intensive Care Unit PRN, Certified Registered Medical Assistant CRMA, Certified Registered Respiratory Therapist, Respiratory Therapy Jobs, Registered Nurse RN Medical Nursing, Radiology Aide Transporter CNA, Unit Secretary, Triage Intake Tech EMT, Pharmacy Technician, Nurse Case Manager RN, Registered Nurse RN Operating Room PRN, Registered Nurse Med Surg PRN, Certified Nursing Assistant CNA, Nurse Practitioner APRN, Clinical Nursing Manager, Medical Technologist, Pharmacy Technician, Sterile Processing Technician, CT Technologist, Desktop Technician, Registered Nurse Intensive Care Unit, Licensed Practical Nurse LPN, Case Manager RN, Social Worker LMSW, Certified Medical Assistant CMA, and Licensed Practical Nurse LPN. WHS provides comprehensive medical care and outreach programs through a team of dedicated professionals. As a student-focused, student-friendly center, their mission is to advance the quality of life for university students, improving academic performance and increasing retention. The Windsor of Lawrence is a licensed assisted living residence dedicated to providing quality services in a warm, comfortable environment. Windsor of Lawrence had open positions on this review date for Certified Medical Aide (CMA), Certified Nursing Assistant (CNA), Utility Worker - Dining and Dietary. Visiting Nurses takes pride in a history of service and continually seeks to provide quality, comprehensive home health and hospice care. Brandon Woods at Alvamar was hiring. Here you may find employment listings such as Certified Medication Aide, Certified Nursing Aide, Dietary Aide, Driver CDL, and Licensed Practical Nurse LPN. Neuvant House is currently looking to connect with dedicated, caring professionals. Douglass Unified School District 396 has ongoing employment opportunities. Here you will find teaching jobs and support staff positions. A sample of openings found had included Elementary Special Education Teacher, Concession Attendant, School Custodian, Evening Custodian, Route Bus Driver, Route Van Driver, District Assistant Track Coach, Freshman Class Sponsor, High School Assistant Boys Basketball Coach, High School Head Softball Coach, High School Winter Cheer Coach, and Substitutes for Food Service Workers. Lawrence Unified School District 497 had employment opportunities on this review date for School Administrative Assistant, School Nurse Jobs, Clerk, School Custodian, ESY Special Education Teacher, ESL Interpreter, Food Service Worker, School Custodial Jobs, Tutor, Office Assistant, Occupational Therapist, Autism Teacher, Autism Paraprofessional, Computer Lab Paraprofessional, Emotionally Disturbed Paraprofessional, ESL Paraprofessional, Gifted Student Paraprofessional, Coaching Jobs, Multiple Disabilities Paraprofessional, Speech Language Pathologist, Spanish Teacher, English Teacher, Language Arts Teacher, Gifted Teacher, Title I Teacher, and more. Baldwin City Unified School District 348 was hiring for the positions of Special Education Paraeducators, Coaches, Subsitute Teachers, and more. West Franklin Unified School District 287 periodically posts employment listings. Some positions found had included Elementary Instructor,	Assistant Coach, Full Time Route Bus Driver, and Substitute Bus Driver. Eudora Unified School District 491 had administrative support staff and certified positions available during this review. Perry Unified School District 343 is always looking for reliable substitute teachers. Opportunities periodically become available for Certified/Licensed and Classified staff. Baker is a private university that educates traditional and nontraditional students through small classes, innovative instructors, and rigorous course work. Baker University is an Equal Opportunity Employer and hires only the highest caliber of faculty, administrators and support staff. Haskell Indian Nations University (HINU) is the premiere tribal university in the United States, offering quality education to Native American students. University of Kansas KU has become a major public research and teaching institution of 28,401 students and 2,600 faculty on five campuses (Lawrence, Kansas City, Overland Park, Wichita, and Salina). Here you will find an ongoing array of faculty and support staff opportunities. The University of Kansas is committed to providing our employees with an enriching and dynamic work environment that encourages innovation, research, creativity and equal opportunity for learning, development and professional growth. The Lawrence Workforce Center helps employers find skilled workers and helps career seekers access the tools needed to manage their careers through high quality information and services. The Economic Development Corporation of Lawrence & Douglas County provides a listing of the largest employers in the region. Lawrence Chamber of Commerce is focused on regional economic growth and job creation through business recruitment, retention and expansion efforts. KansasWorks allows job seekers the ability to perform advanced job searches, create and post resumes, and receive job alerts by email or text. The State of Kansas hires for positions within various departments such as Department for Children and Families, Department of Corrections, Veterans Commission, State Hospitals, and more.